The Woodlucker studio is located in Northeast Minneapolis in the Northrup King Building just north of downtown. Built in 1917, this building originally housed the Northrup King seed company. Today it is a creative center for over 130 studios and we open our doors for both Art Attack in November and Art-A-Whirl in May. We are open by appointment during other times. During our many years of creating art, we have occupied a variety of locations. 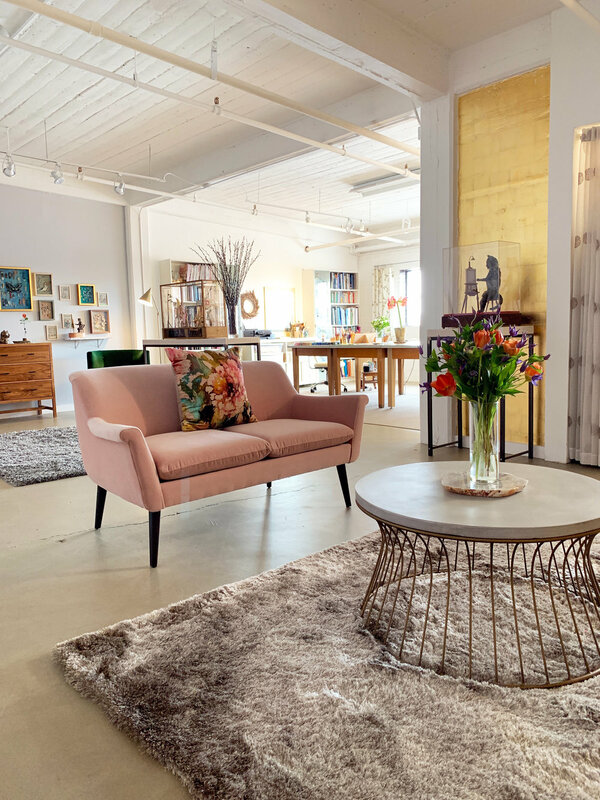 Our current space was once a welding studio and with many gallons of paint we transformed the grit and grime into a clean space to clearly exhibit our work. Painting and idea generation is done in this studio. In our wood shop, separated from the clean space, is where the dust flies. All of our work is either hand carved or formed with electric tools out of basswood. The mechanics are hand built from brass and aluminum based on detailed drawings by Dean. We both paint, draw and carve wood. Dean is an intuitive engineer with a natural aptitude for his own special brand of mechanical wizardry. When we met at art school we both were interested in making our narrative objects come to life with movement.